While espadrilles and flip flops are the shoes for summer, sometimes you have to dress it up a bit. You don't have to go digging for your stilettos though. 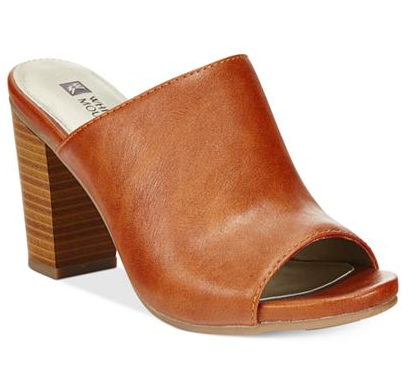 Try mule sandals. They are cool, versatile, and pretty simple. I like them to dress up with a skirt or down with a romper. Very easy and very affordable. See what I mean? You can pair this a culotte for work or shorts for the weekend! Do you love these? Because I love these. I love these even into early fall with bf jeans. And why not some suede? For under $60! 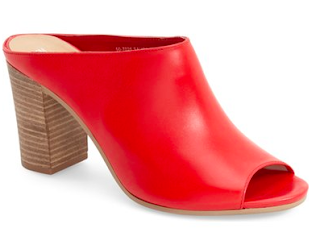 A great stacked heel, chunky look, but with the right outfit and the right strut, the perfect summer shoe.